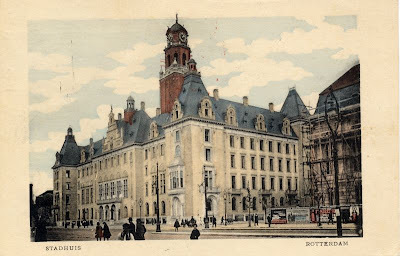 The city hall in downtown Rotterdam, on a postcard sent on 16 July 1927. 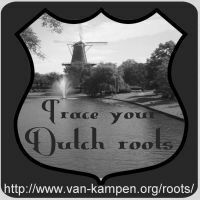 This area was largely destroyed thirteen years later, during the bombardment of Rotterdam (14 May 1940, see this photo for a view after the debris was cleared). Surprisingly, both the 1914 city hall and the church in the background survived, so the view today still looks pretty much the same (except for the traffic and the clothing of the people on the foreground, of course).